As Indonesia is situated right below Malaysia, it is easy to travel between these two countries. Besides taking a flight to visit the neighbouring country, you can also consider taking the ferry for a different kind of experience. If you are a frequent traveller between Johor, Malaysia and Indonesia, you can consider booking your ferry ticket with Citra Indomas. This well-known transportation company based in Johor Bahru is now available for online booking through Easybook. Let us kick start your ferry journey with Citra Indomas to Indonesia and Johor today! 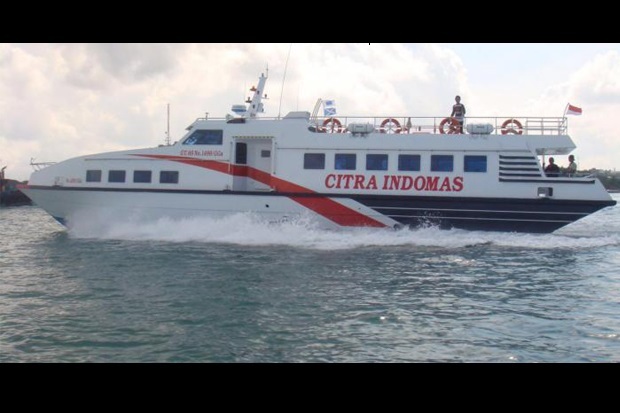 Citra Indomas mainly focuses on ferry trips at Batam in Indonesia and Stulang Laut in Johor, Malaysia for your convenience. There are two stops for Indonesia at Batam Center and Tanjung Pinang Ferry Terminal in Bintan Island, while Berjaya Waterfront/The Zon Ferry Terminal acts as the ferry stop for Malaysia. There are various trips available for the trips mentioned above, so do check out the schedules and price for your preferred time. Follow this simple booking guide we have prepared for you on our website in order to get your ferry ticket with a few clicks. Make sure you arrive early check-in at the counter 90 minutes before departure with your printed copy of the booking. You MUST print the Order Summary for Citra Indomas bookings. If you are boarding the ferry from Stulang Laut in Johor, you will need to get to the Berjaya Waterfront or known as The Zon Ferry Terminal by Jalan Stulang Laut. There is a Duty-Free Zone which is perfect for a quick shopping. Food is no issue when you are here as there are many restaurants and cafes around the area. For those who are in Indonesia, your boarding and disembarking points with Citra Indomas are either at Tanjung Pinang or Port of Batam Centre. Upon arriving at the Tanjung Pinang port of Sri Bintan Pura, you will find a few car rental agencies to make your trip in that town more convenient. Travel a little bit further out and you will find many great places such as the Laman Boenda or the bustling Bintan Indah Mall. With that said, let Easybook make your travel plans easier as we help to kick start it upon booking your ferry ticket with us. Do consider making your online booking with ferry operator Citra Indomas for your trips to Malaysia from Indonesia and vice versa. You can even download our mobile app that is available for free to check the schedules at the palm of your hand.